In the following figure we have compared the report designer toolbars between Crystal Reports and Sunset Reports. The red arrows show a match with the toolbar items between the two software programs. 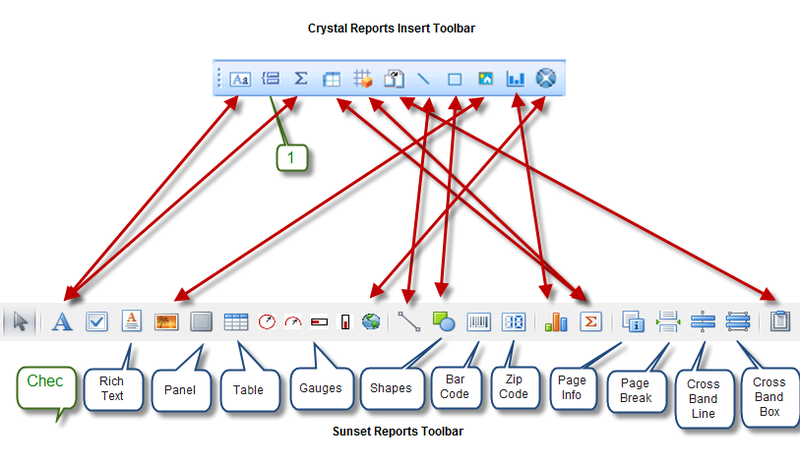 Crystal Reports only has a rectangle as a shape while Sunset Reports provides 23 shapes. The items on the bottom of the figure with a blue callout show items that Sunset Reports has and Crystal Reports does not have. Most people know that Crystal Reports is the standard for report writing and has been around for a long time. But there are many people who feel it is too hard to learn, too complicated to implement, too expensive, or just more than they need. For those people, Sunset Reports provides an attractive alternative that provides most of the features of Crystal Reports and many features that Crystal Reports doesn’t provide. 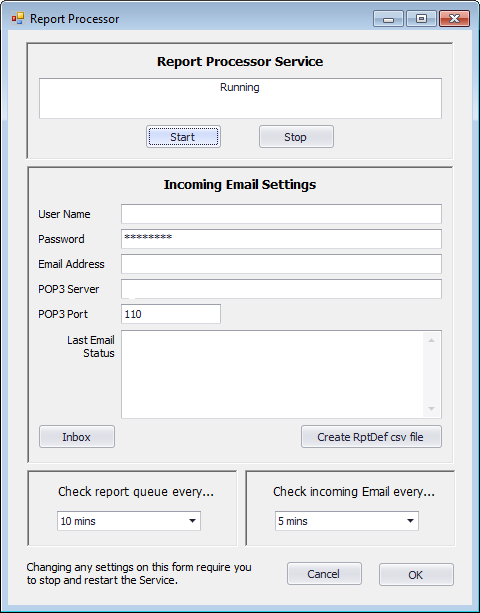 Sunset Reports is easier to learn, is simple to install and use, and is less expensive. So if you are looking for another option besides Crystal Reports, or any other report designer, then look carefully at Sunset Reports. Here is a visual catalog of the chart types available. Many options are available with these. Access 2010 only has 20 chart types, and Crystal Reports 9 only has 40. Even Excel 2010 does not have some of the chart types in Sunset Reports. Plus the wizard gives you so many customization options.